Regardless of who your target is or what you’re selling, incorporating the art of storytelling into your sales presentations allows you to entertain, engage, and educate your audience. Today, we’ll look at nine storytelling techniques you can use to inspire leads to become customers. But first, let’s talk about what makes storytelling such an effective sales tool. Why is Storytelling Such a Powerful Sales Tool? Being a good storyteller is good for business. If you can infuse your sales process with inspirational, persuasive, and memorable anecdotes, you can make a bigger impact on your prospects and steer them towards the decision to buy. Science backs this up. An engaging story can trigger the release of oxytocin, which is also known as the trust hormone. This reaction increases your prospect’s trust in you, your brand, and the product or service you’re pitching. Humans are social creatures by nature and sales stories are about more than just selling a product – they’re about connecting with your prospect. Capturing the audience’s attention with an engaging narrative. Generating more interest in your product or service. 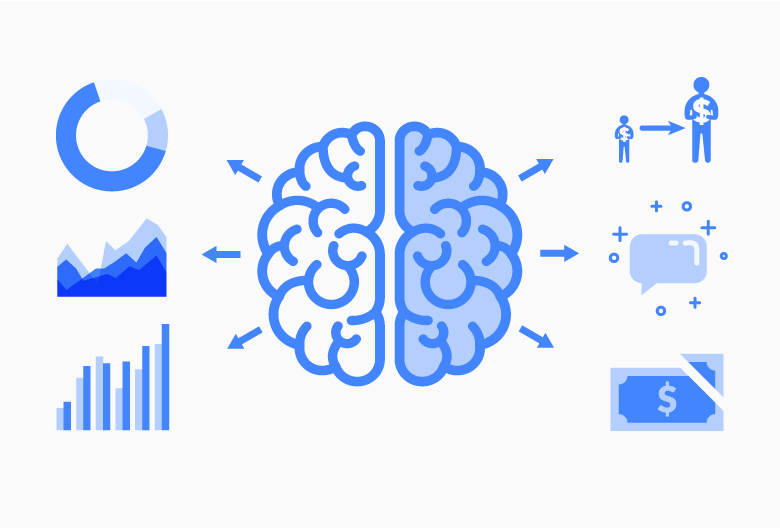 Making data more meaningful and memorable by connecting it to real-world examples. Earning your prospect’s trust. A great story can lead to the release of oxytocin, which creates a deeper bond between the storyteller and their audience. Motivating your prospect to take a specific action by demonstrating the positive results of doing so. It’s not enough to know that persuasive stories can boost your sales if you don’t know how to put them into action. 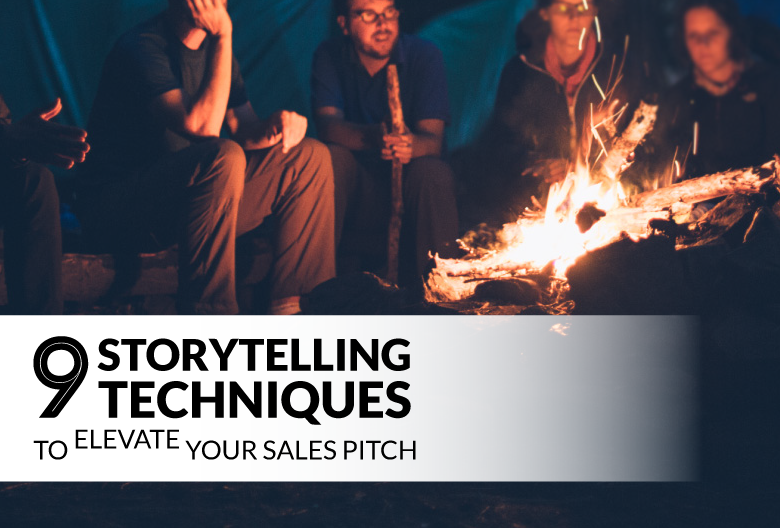 So, here are nine storytelling techniques you can incorporate into your sales pitches to make an emotional impact and inspire your prospects to buy. 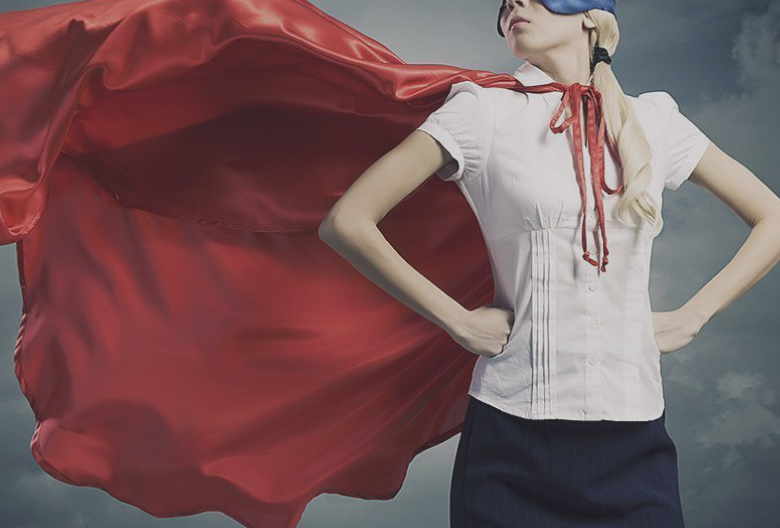 A worthy hero is an essential component of every tale – including your sales stories. Unfortunately, too many sales reps make the mistake of positioning their own product or brand as the hero that swoops in to save the day. This leave the prospect’s company on the sidelines or playing damsel in distress – neither of which are very flattering roles. Effective sales pitches don’t just focus on how amazing the product is; they focus on how the product will help the buyer solve a problem or overcome a challenge. So, when you use a narrative to support your sales pitch, make the customer (or a very similar business) the hero of your story. This allows your prospect to feel inspired by a business just like theirs that overcame similar obstacles. Of course, your product can still share the limelight. Position your brand or product to play a supporting role that demonstrates its benefits to the customer. Tailor the story to demonstrate how your product is applicable to the prospect’s situation and can help solve their specific problems. Telling a great story isn’t just about keeping your prospect entertained. You also need to stay on topic and ensure you hit the right talking points to support a sale. You still want to explain details of your product, but only as they relate to your prospect. The better you understand the prospect’s challenges, the better you can tailor your story to address those issues. Do your research on the prospect’s company and the challenges they face. Then, take the technical specs and statistics you want to mention and frame them in a narrative that demonstrates their relevance to the prospect. What’s the point of your story? If you don’t have a quick, concise, easy-to-remember answer to that question, your prospect is unlikely to walk away with a clear understanding of your presentation. For example, your goal might be to encourage your prospect to choose a specific package that you feel would best serve their needs. Or, you might be more interested in getting them to register for your free trial so they can see how awesome your product is for themselves. Once you’ve identified your primary purpose, you should tailor your story not only to your specific audience, but also towards promoting a specific course of action. A personal story leaves a longer lasting impression than a generic sales pitch. So, regardless of your primary goal, you should include relatable anecdotes that resonate with your audience. Remember, your customer should be able to picture themselves as the protagonist in your story. You want to make it easy for them to understand how the benefits you’re offering would apply to and improve their own lives. How can you achieve this? By including enough details about the characters to make them human and having them struggle to overcome realistic problems. This might involve working in a real-world example of a company that faced the same obstacles as your client. The more adversity they had to overcome to reach their goal, the better. Aim to be relatable, motivational, or both! People tend to make emotional decisions, but in the business world, they need real data to back up those choices. Even if your prospect is moved by your sales story, they won’t be able to justify their decision if you don’t provide them with the relevant supporting facts. One way to effectively communicate important stats is to tell several different anecdotes over the course of your presentation. This allows you to illustrate the key takeaways that you want your prospect to remember without overwhelming them with too much information at once. Stories appeal to the emotional, creative right side of the brain, while facts provide the logic and rationale the left brain needs to get on board. So, combining anecdotes with facts reaffirms the prospect’s emotional decision and makes them more confident in their choice. A powerful story arc increases your odds of connecting with your audience and triggering the release of oxytocin. However, if your story lacks a basic structure with a beginning, middle, and an end, it will likely fall flat and be difficult to follow. How can you pack the most meaning into a single anecdote? Set the scene and introduce your characters before diving into the central problem or challenge. In the case of a good sales story, your conclusion should draw a connection between your product and the solution. This is your chance to demonstrate how your product or service can help the prospect solve a problem they’re currently facing. A poorly told story can lead to more questions than it answers. Once you’ve outlined your structure, practice your entire presentation until you know the content inside and out. The goal here isn’t to recite each story from memory, but to be so familiar with them that you can tell them naturally as part of your larger sales pitch. The more comfortable you are during your pitch or presentation, the more comfortable your prospect will feel, too. Try to speak naturally, make eye contact, and exude confidence. It’s fine to use bullet points to keep you on track as long as you elaborate on each point. Sounding too scripted is as much of a problem as sounding unprepared. Practicing your delivery also ensures you maintain a logical flow of information, rather than jumping around from point to point or skipping over important elements of your story. Metaphors, similes, and vivid imagery can bring a story to life. 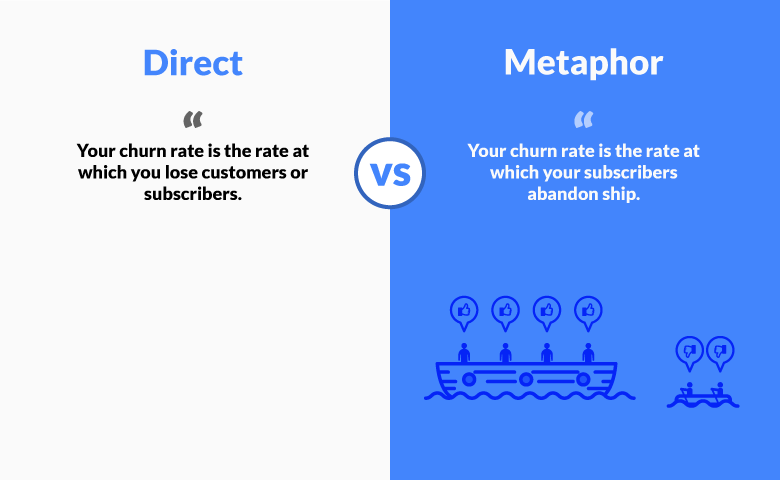 This type of language helps your audience visualize what you’re talking about and allows your message to ‘click’ and resonate with your listeners. An effective metaphor can simplify complicated concepts, thereby providing your prospect with a better understanding of the problems and solutions presented. Metaphorical language can also make your story more persuasive because it increases your audience’s level of engagement. The more immersed your prospect becomes in your sales story, the more likely they are to buy-into your pitch – and your product. The best stories hook the audience with suspense, drama, and conflict. You want the listener to root for the hero. Conflict can create interest, excitement, and get your prospect emotionally invested in the story. If the problem is resolved too easily, you’ll bore your prospect and they’ll quickly forget your example. A quick resolution is also not relatable and won’t stir up interest in your product. Instead, set up the character’s difficulties, imply that they might not reach their goals, describe a major setback they experienced. Then, once the conflict has been established and drawn out for suspense, present your product or service as the ultimate solution that helps the hero prevail. What Kind of Story Does Your Sales Process Tell? If you’re too busy trying to manage your pipeline and keeping tabs on leads, it can be tough to find the time to work on your sales pitch. Ready to spend less time and energy on data tracking? Find out how Propeller CRM can simplify your sales process, so you can focus on what you do best: selling.